We took some time off in July to scamper about at the beach, escape from the pinging call of the email and to spruce things up around here. The fact that I can’t find any photos of how the studio looked before last month tells me that, while I was happy enough working in it, I wasn’t exactly excited about it the space itself. We moved things around a bit, went shopping (IKEA and beyond! ), did some DIY with drills and saws and things, brought about a ton of cardboard to the recycling centre, sat back, admired our handywork but wondered what was missing... and bought a fern (ta-dah!). I already had two big shelf units. 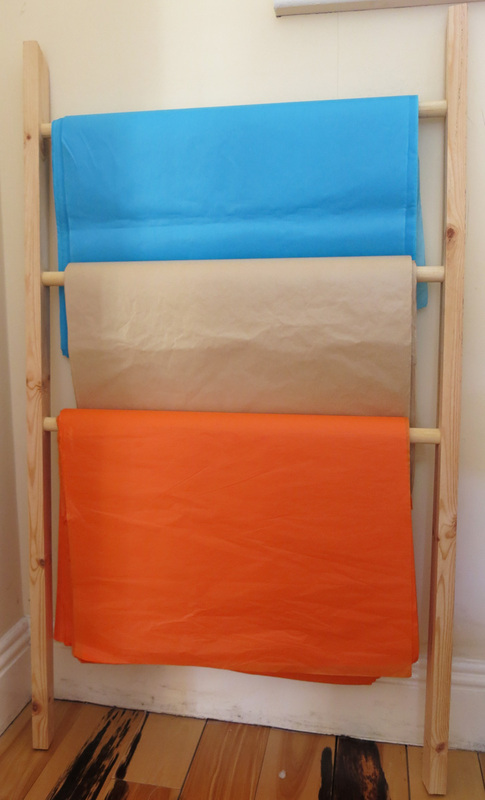 The problem was that they were full of things that I didn't use very often, while the supplies I use nearly every day were in cardboard boxes on the floor. A new Kallax shelf unit from IKEA solved a lot of that. 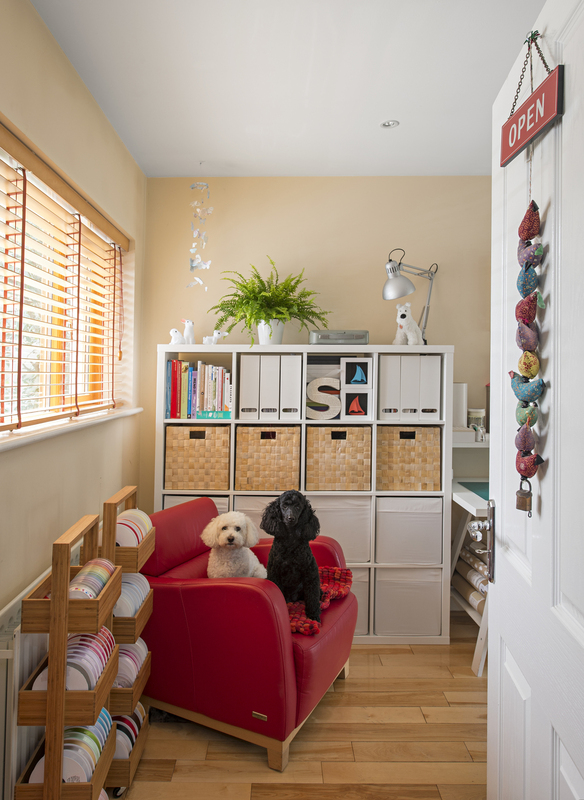 The baskets and magazine files keep most things hidden away (except for the things I'd like you to see!). 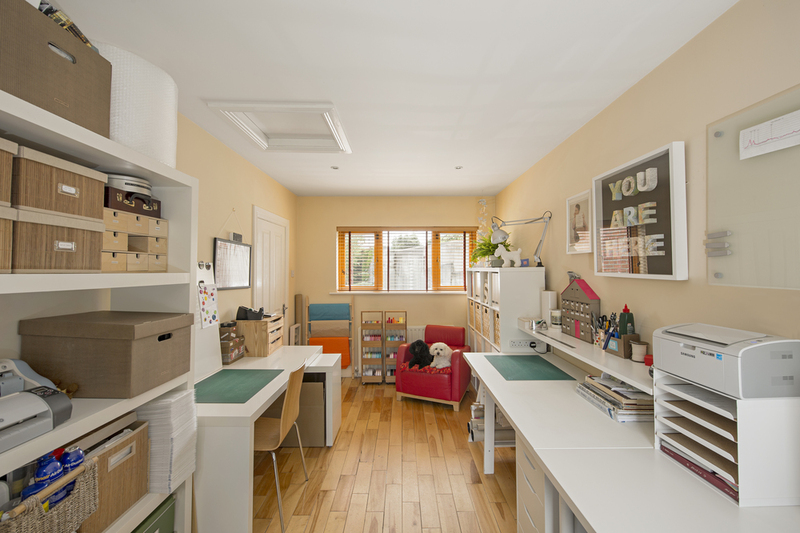 The studio is just off our kitchen/living/dining area so it's important that it looks neat and tidy if the door happens to be open. I have three desks: one for computery printery work, another where I do most of my making, and a third for post and packaging. The desktop where I do most of my cutting and making tends to get a bit cluttered so I added a shelf for tools and bits & pieces that I need to have easy access to. I have a lot of ribbons and they tend to roll around the place and unravel making things look messy. 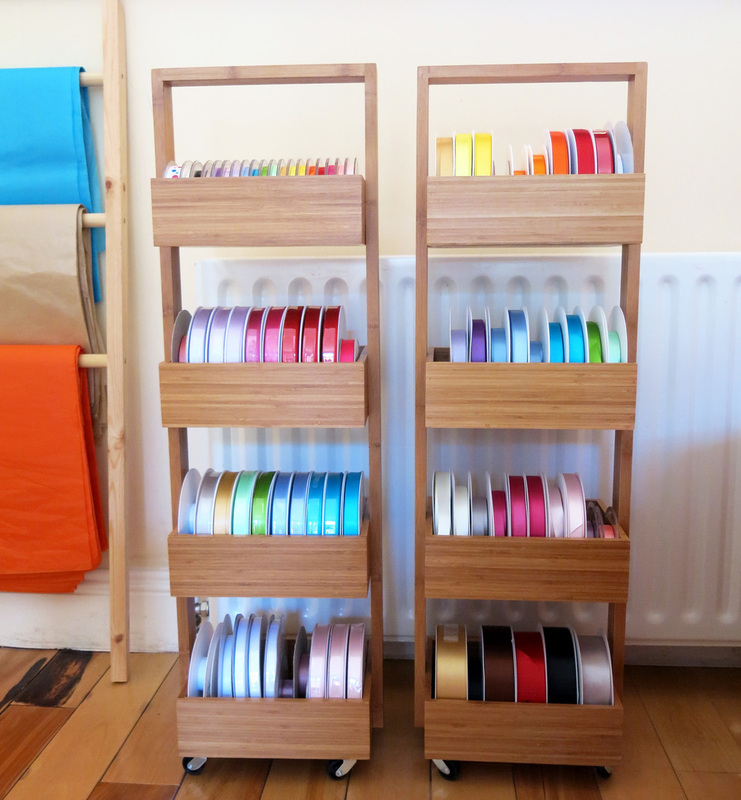 Initially I was on the lookout for wire racks to fix to the wall, but along the way I found some bamboo bathroom storage units that are just the right size for the reels and look great. I added some castors on the bottom of each one so that I can wheel them to whichever desk I'm working at. Through this typewriter pass the most beautiful letters in the world. 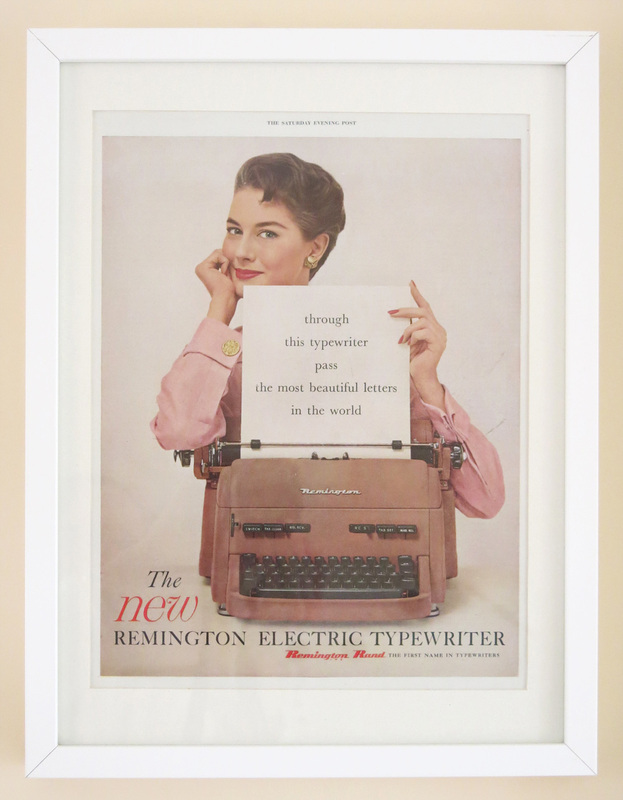 This is an original 1955 magazine ad for a Remington typewriter. I thought it was appropriate, what with my Messages in Bottles and all (even though my typewriter is actually a Hermes Baby, but we won't quibble). I have a box full of map scraps left over from making 3D letters and Papercut maps. 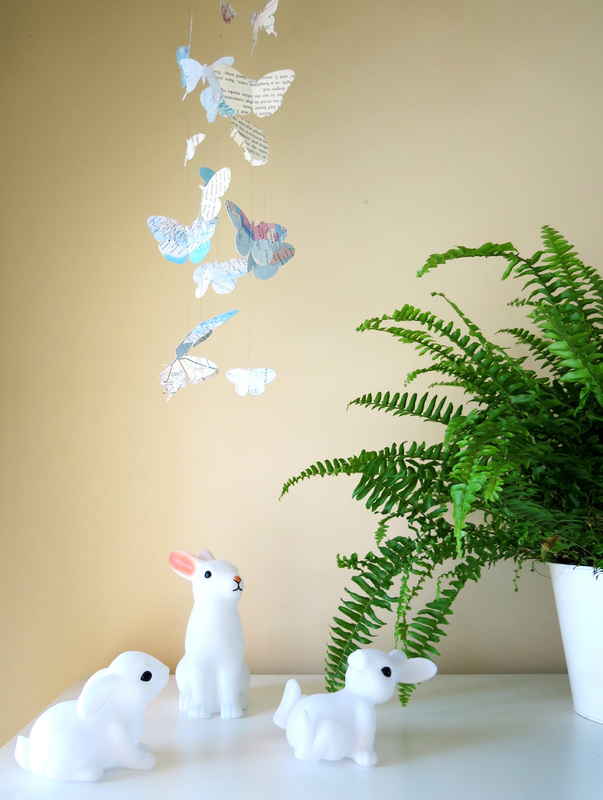 This butterfly mobile is made from some of those. The bunnies are little night-lights. I started with just one but, well, you know what bunnies are like!